Rupert Murdoch's bid for BSkyB seems to be going rather well, with the UK's Culture Minister, Jeremy Hunt, provisionally agreeing to proposals for Sky News to become an independent company under the News Corps umbrella. 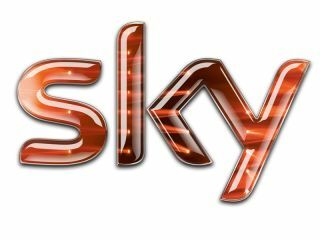 News Corps is bidding for 61 per cent of BSkyB, which would mean that BSkyB would own the company outright as currently is has a 39 per cent stake. The new plan, which intends to give Sky News editorial independence from News Corps' other media outlets, is subject to a few provisos – there must be an independent editorial director at Sky News board meetings, for example, and other Sky channels must continue to advertise the news service. The details have been thrashed out during negotiations between Hunt, News Corp, the Office of Fair Trading and Ofcom. If News Corp is allowed to take a controlling stake in BSkyB, Murdoch's company would then be in control of a massive chunk of the UK's media – it already owns The Sun and The Times newspapers, among other things – giving it, opposing parties fear, an overbearing sphere of influence into which it can push its editorial bias. There is still time for opponents to the take-over to air their grievances with the consultation having been extended to 8 July in light of the new agreements. But it's looking more likely than ever that News Corps' plans will be green lit by the Culture Secretary. It's a bit of an about-turn for Hunt, who had previously intended to refer the deal to the Competition Commission, which would examine the merger to decide whether it poses a monopoly. "I am aware of the huge interest in the proposed merger and am grateful to those who responded to the consultation. I have considered carefully the points raised and, as at all steps in this process, taken advice from the independent regulators," he said in a statement. "A number of suggestions were made in response to the consultation which could further strengthen the undertakings, particularly around editorial independence, business viability and the articles of association. I am therefore proposing some changes to the undertakings and I will now hold a further public consultation."